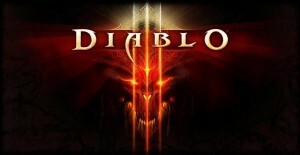 Linux Today News has a headline “How to Install Diablo 3 on Linux” which points to the following article on SoftPedia: http://news.softpedia.com/news/How-to-Install-Diablo-3-on-Linux-273950.shtml . 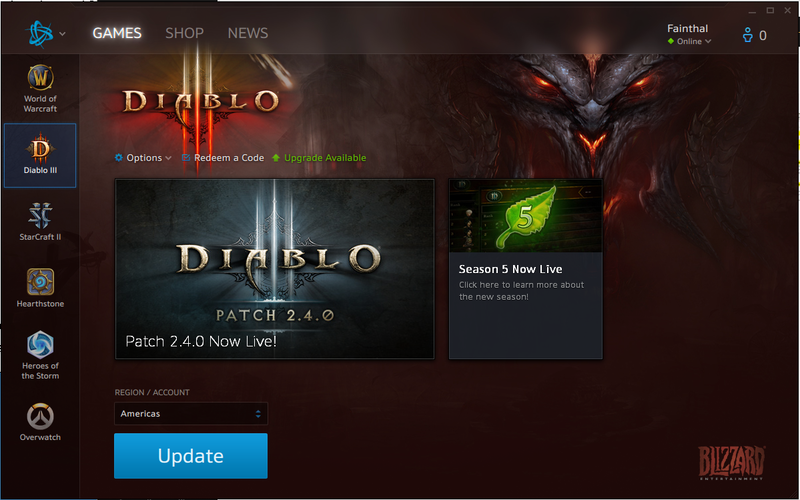 I smiled for a bit, because I already have Diablo 3 running on my Slackware desktop for a few weeks now. And it did not take “PlayOnLinux” to do this. Install my wine 1.5.x and wine_gecko 1.5 packages. I have applied patches specifically to make the Diablo 3 installer work. Do not use my wine 1.4 package – that is the “stable” release which can probably play Diablo but can not install it. Run “winecfg” and configure wine to behave like a Windows 7 OS. Download the winetricks script, copy it to your /usr/local/bin directory and make it executable. Run “winetricks vcrun2008” in order to install the MS Visual C++ 2008 runtime This will prevent application crashes when starting Diablo 3. Run the setup using this example command (you may have downloaded another localization than enGB): “wine Diablo-III-Setup-enGB.exe” (if you have the DVD then you run the setup from the mounted directory). The setup will download about 8 GB of installation files and will then start the actual installation process. Once the installation has finished, you’ll see the big button “Play”. Click it to start the game. The game has been installed as a menu entry as well: below a top-level menu called “Wine”. If you want to install Diablo into its own wine prefix (meaning it will get its own toplevel directory and thus cannot influence the functionality of other Windows programs you may have installed) then you need to add something like “WINEPREFIX=$HOME/.wine-diablo3/” in front of the above winedcfg and wine commands (you are free to pick any directory you like, mine is just an example); or just run “export WINEPREFIX=$HOME/.wine-diablo3/” once before starting the first wine command. The desktop menu entries which are created by the Diablo setup will automatically be configured to also use a custom wine prefix. Using the wine-1.5.5 which I patched and packaged I could install Diablo 3 and play for hours without a single glitch. Well done wine developers! Very good troubleshooting information about running Diablo 3 on Linux using wine can be found in the Diablo 3 appdb page on winehq. Posted: 7 June, 2012 in Games, Slackware, Software. wine: ‘~/.wine’ is a 64-bit installation, it cannot be used with a 32-bit wineserver. Nothing wrong with my wine package. It just does not contain a 64-bit wine (i.e. a version of wine which can run 64-bit Windows programs). Did you have someone else’s wine package installed before mine, which did also contain wine64? WINEARCH=win32 winecfg actually means re-installing everything already there as all the .reg files will be gone after that. You may be confusing the fact that I built wine to run on a 64-bit Slackware… but the wine binaries are still 32-bit binaries. The version of wine which my SlackBuild creates can only run 32-bit Windows programs. You can compile wine differently on a x86_64 platform, and then you will get “wine64” which is able to run 64-bit Windows programs. This version of wine allows 64-bit Windows programs to call 32-bit Windows programs and vice versa. See http://wiki.winehq.org/Wine64 . I have been wanting to try this for my x86_64 package but have not gotten around to actually do it, mostly because of reports of instabilities and the fact that there are not so many purely 64-bit WIndows programs yet. And yes, running “WINEARCH=win32 winecfg” will require that you delete your existing .wine directory. That is why I suggested the alternative approach in my main article, to define a different WINEPREFIX and give each Windows program you want to run its own “.wine” directory. Any recommendations which graphics card to get for playing Diablo on Slackware? for the patch, if I’m on slackware64, do I need too make the system multilib, so I can install the 32bit wine package? if not, Do I install the 32bit package as is? or do I try and install the 64bit package? and for clarification, I’m on slackware 13.37, not -current , if that influences your answer. If you want to run Diablo (which is 32-bit Windows software) you have to upgrade a slackware64 system to multilib first. Then you install my wine package (the one in the “pkg64” directory). Don’t forget to also install my OpenAL package, wine depends on that. Note that my Wine for slackware64 is still only supporting 32-bit Windows programs! I.e. I did not compile “wine64” for 64-bit Slackware. The wine64 program still has issues according to the developers, and there is just too few 64-bit Windows programs to care about this anyway. One quick question, will the openAL package that is on the main slackbuild repository work? Or will I need to for sure use the one in your own repository? I do all like u write in your manual, but get error in start menu when start game. Error message – Game have new update, press “OK” to start game automatic update. Then game close and start launcher where I see message what I have latest version game client. Start game see error… start next loop. Before I read u article, I try wine 15.9, but have same error. p.s.Sorry for my bad english. OOPs… so I need multilib system? Diablo’s installer changed, and Linux clients on Wine got banned at one time, so I decided not to have a further look at Diablo. I am afraid I will not be able to help you. Many thanks for providing such information. I’m installing the game right now. But not only that. 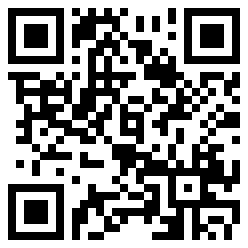 All other information contained on this site help me a lot to use Slackware at home. Things like multilib, pipelight among others. Without your help I would not have been able to do cool things with Slackware. Thanks a lot. This application failed to start because it could not find or load the Qt platforum plugin “windows”. Then edit the VERSION in the slackbuild to git20160228 and run it.